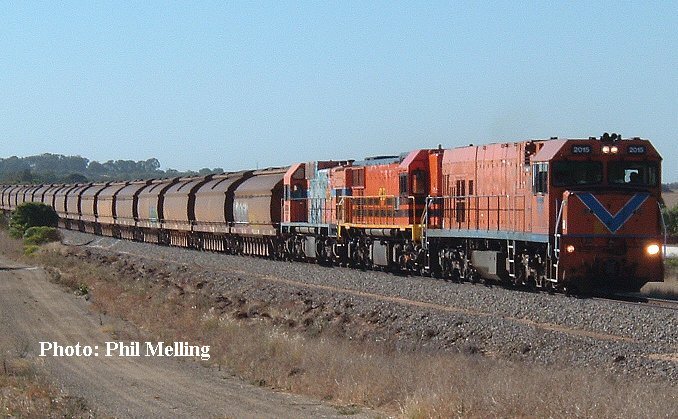 A coal train ran between Narngulu (Geraldton) via Perth from the Collie coalfields in the South-West. The coal train was normally hauled by a single P class locomotive with a standard set of around 25 wagons. Being as the train runs through Perth ARG often took the opportunity to add locomotives & wagons being transfered to and from Narngulu. This practice continued and quite a few different locomotive combinations and various wagons have been seen on the train. One train even featured four locomotives and 70+ wagons. The coal train ran for the last time in November 2009, the coal being trucked from Collie instead. 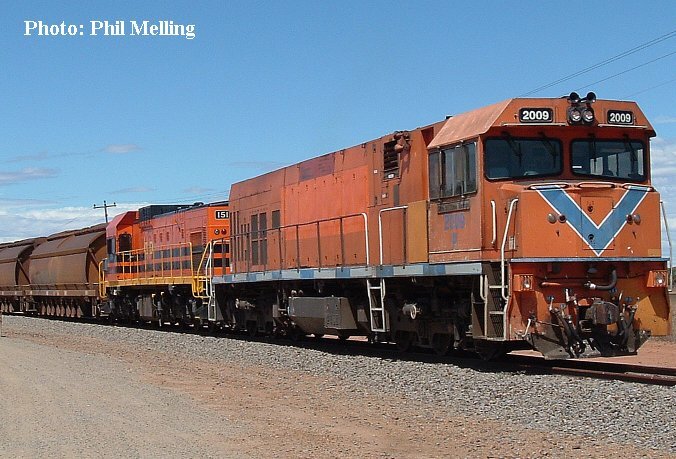 Locomotives are now transferred light engine between Forrestfield & Narngulu. Below are a few photos of the "coal train". 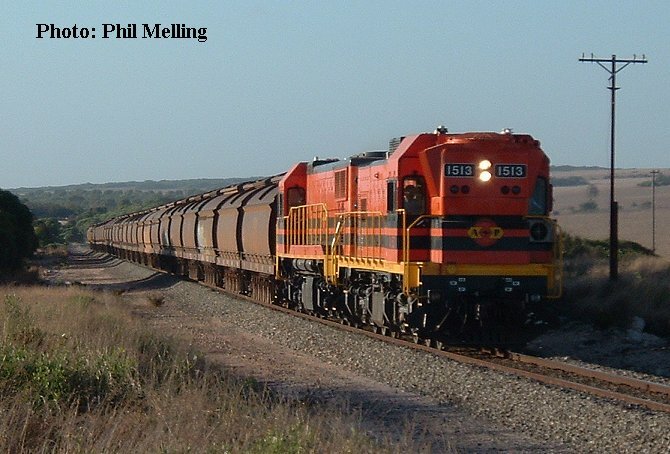 A1513/1907 head towards Dongara with an empty coal train on 14 February 2004. 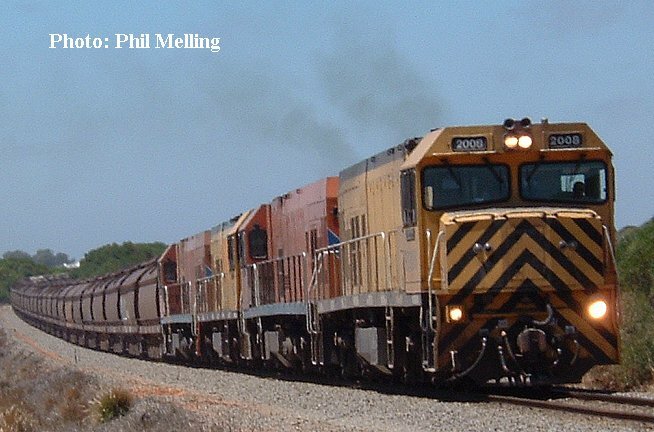 P2015/DA1517/AB1536 head south from Narngulu with an empty coal train on 1 February 2004. P2009/A1513 haul a load coal train down to the synthetic rutile plant at Narngulu on 24 February 2004. P2008/P2015/P2002/P2003 haul a loaded coal/ empty grain train up a grade near Bookara (south of Walkaway) on 8 February 2004.